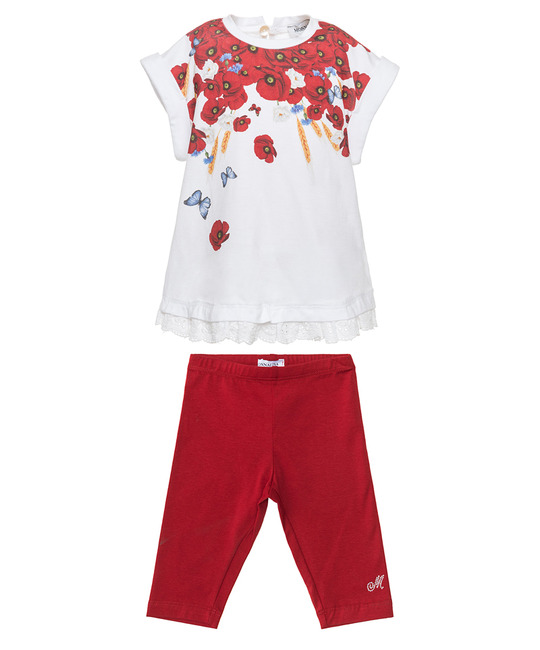 Monnalisa soft red floral print top and matching legging set. 96% Viscose, 4% Elastane. Imported.